After months cooped up inside for most of us, it’s refreshing to be sitting outside on the bleachers watching our kids practice and play football, even if we are still wearing a stocking cap. 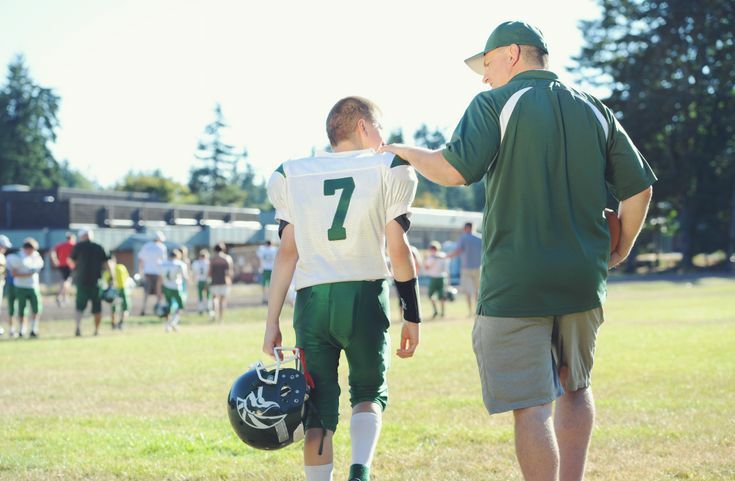 It’s the perfect time of year for all of us parents to remember the true reason why our kids play sports. One reason is for the sport of it. For some, that means playing football for the very first time and learning the new skills and team strategies that go along with it. For others, it’s getting back on the gridiron and improving previously learned skills while playing against a different level of competition than the year before. There also is a social part, for the kids and parents. It’s a chance to meet new friends, reunite with old ones, and create memories at practices, during games and at social activities held in between. The best outcome? That’s easy – kids having fun. Sometimes we overlook this aspect of youth sports. Not intentionally, but maybe just because it’s sometimes hard to use the term “fun” after a loss. But the bottom line is that parents need to approach sports with a fun attitude. Because if we don’t seem like we’re having fun, our children quickly pick up that attitude, win or lose. RELATED CONTENT: The end-of-season party and the next sport&apos;s practice happen at the same time. Which should your child attend? So as spring break comes to a close around the country, the weather gets even nicer, and the spring sports seasons really ramp up, let’s all try to remember the true purpose of youth sports. And then, it’s up to us parents to practice what we preach and focus on the fun parts of the game, not the wins or losses or the individual stats. Spring is here, and the fun is just beginning.